We will be discussing the well-researched, 3 C’s of self-promotion - Content, Consistency, and Community equals Visibility. Join us for an unforgettable MRA conference with inspirational speakers, educators, authors and special events! Please note there is no Friday Pre-Conference this year. Do you want to get away from it all this fall and CREATE? How about some time to RECHARGE with your creative buddies? Would you like some inspiring craft sessions to MOVE FORWARD? We hear you! SCBWI Indiana and Michigan are teaming up to provide a weekend creative retreat in beautiful Pokagon State Park on October 5-7, 2018. The Park is located in northeast Indiana near Angola and is just off I-69. The cozy and comfortable Potawatomi Inn Resort and Conference Center within the Park will be the venue for lodging, retreat events, and meals. This Retreat is designed for writers and illustrators at every level of experience. It will provide a perfect blend of creative time, craft-related sessions, critiques, and socializing/connecting. Three or four optional craft sessions will be offered on Saturday and Sunday morning. Afternoons will be left open for creating, paid PAL level critiques, and/or optional peer critique groups for writers and illustrators. Optional social events will be held Friday and Saturday evenings. Fee: $125 SCBWI members, $150 not yet members. A celebration of authors, books, art, beer and brats on September 8, 2018 from 10:00 AM - 4:00 PM. Booktoberfest, presented by Thomson-Shore, will host industry experts, authors and artists from across the country, offering advice and insight for fellow authors, as well as fun and educational activities for the whole family. 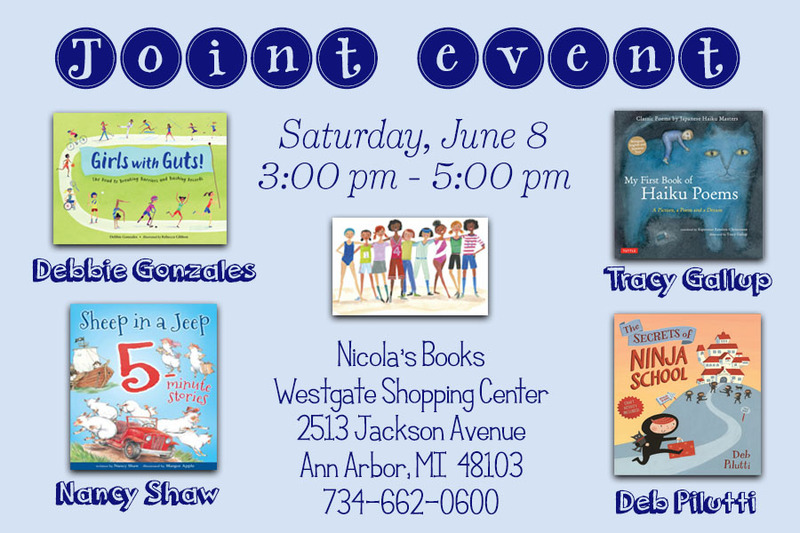 Enjoy a day of books, food, and fun, while discovering and learning about the ever-changing world of publishing and bookmaking. I'll be presenting a project-based reading/writing workshop focused on analyzing various aspects of story structure to create a Fun and Fabulous Folder Game. Glue sticks, markers, folders & story templates are included. 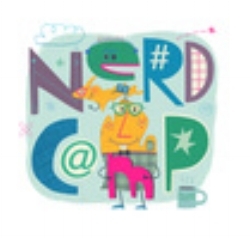 It's going to be GREAT to be be back at NeRdCamp! I cannot wait. Join Debbie Gonzales as she prepares for her picture book debut in the fall of 2018. Even though the publication of her book Play Like a Girl: The Road to Breaking Barriers and Bashing Records is set to be published a long year from now, there are a number of important tasks that need to done to create a promotional platform, things that will help to prepare for a successful launch and, hopefully, a long print run. In this session, Deb plans on sharing everything she's done, thus far, and all that she plans on doing in the future to get her book in the hands of her target audience. Her presentation will benefit the multi-published individual, as well as the novice in the industry. Presenting The Magazine Project to middle school and high school-aged homeschoolers in Monroe, MI. Presenting the MAGAZINE PROJECT as a Day 1 nErDCamp Speaker. Served as Event Coordinator for the AMR 2017, held on campus in Montpelier, VT. Hosted alums and publishing professionals from all over the country.